Sometimes I have to pause while I am in the middle of being busy, doing things in the house. I hear some little paws and wonder what they are up to. I wonder if that bunny of mine is ok. So, I take a peak and see he is sitting comfortably in his cage. I go back to work in the house and set about my business. In a minute I hear a bell ring. Then in a few seconds I hear that bell ring again. It is the bunny ringing his bell to get my attention. I got him this bell a year ago. 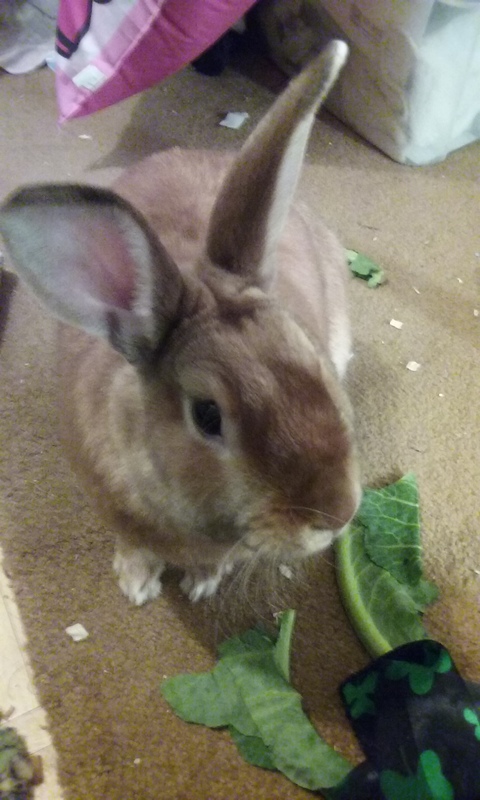 I remembered that a bunny I had long ago used to ring a bell when he was ready to come inside from playing in the fenced in yard. 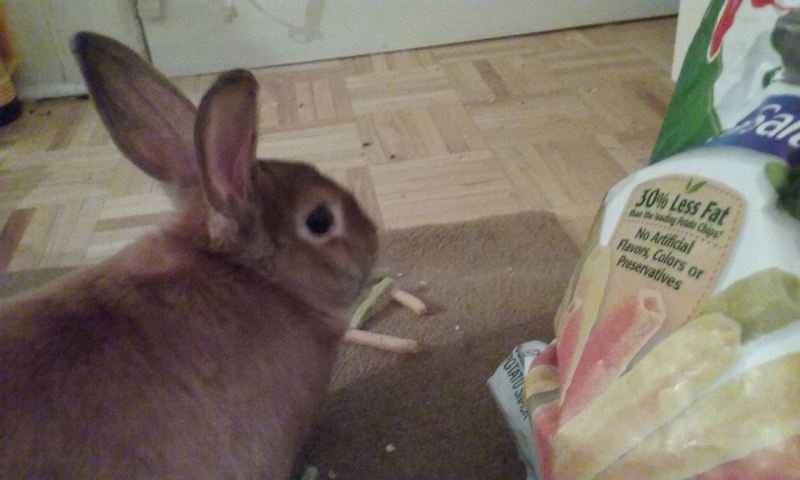 So I got this bunny a bell. It was in the bird section of Pet Smart. I attached it to the top of the cage. 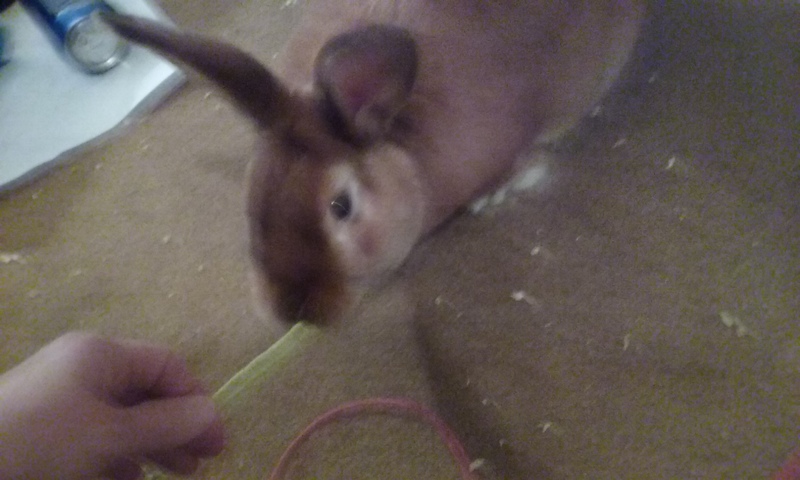 He can reach it with his little nose and ring. He knows very well now, that I come when he rings. You might say that he has conditioned me similar to Pavlov’s dog….or is he the one who is conditioned? Actually I think we are both conditioned. He knows to ring the bell when he is hungry and I know to jump when he calls. But the funny thing is that sometimes I answer the ringing. 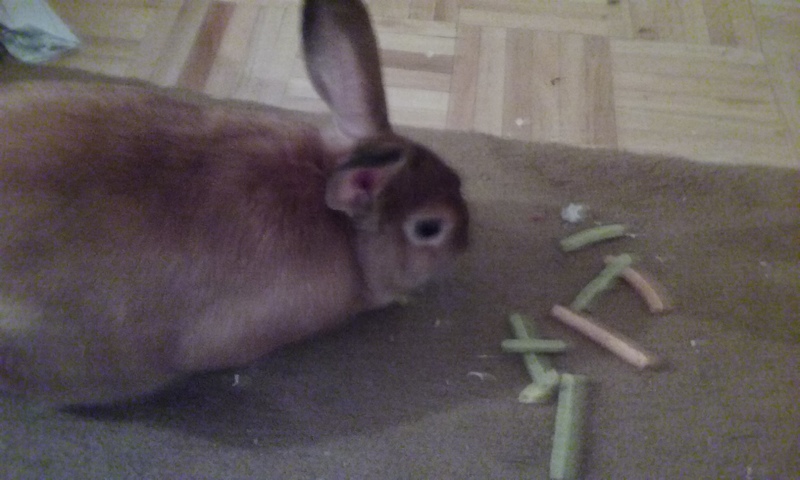 put food in the cage, get him all settled, and then he rings. He is not ringing for food. He is not hurt. If I ignore this type of ring, he will get very frantic in his ringing, the longer I do not come. Until he is banging the bell with his little nose, back and forth. So what is he ringing for? When I get there, I open the cage. 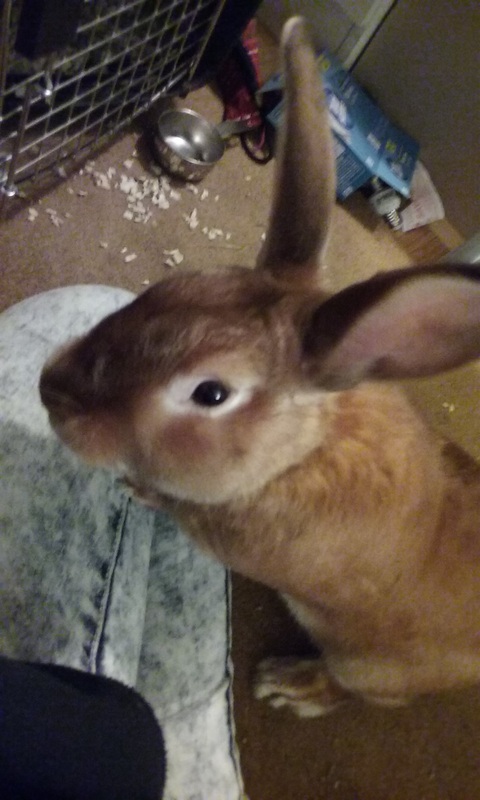 He sticks out his head and brushes against my hand. He tucks his little head into the palm of my hand and stays there. He is calling for love. 4. Ping back! It’s important, so that I and other people can come and read your post! For example, in your post you can write “This post is part of SoCS:” and then copy and paste the URL found in your address bar at the top of this post into yours. Your link will show up in my comments for everyone to see. The most recent pingbacks will be found at the top. 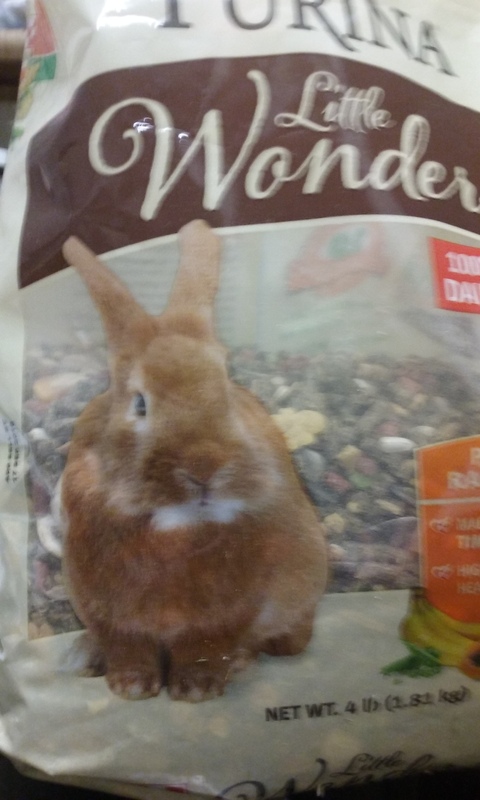 My Bunny Looks Like the Picture on His Bunny Food ! 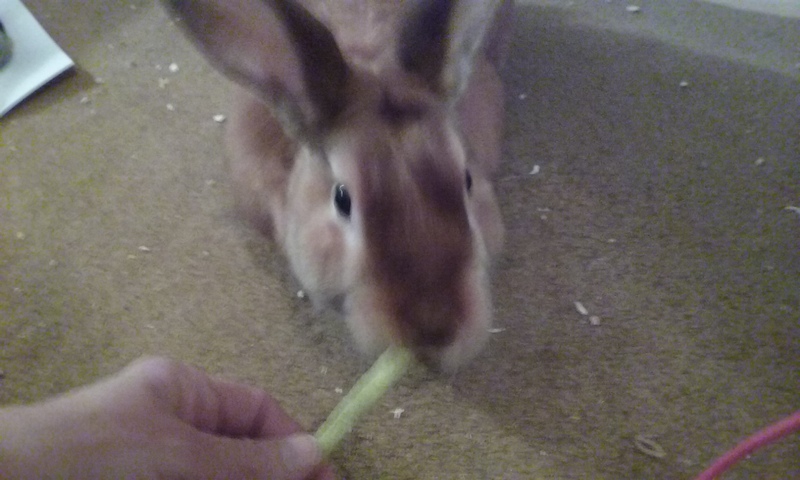 This bunny of mine is so funny. 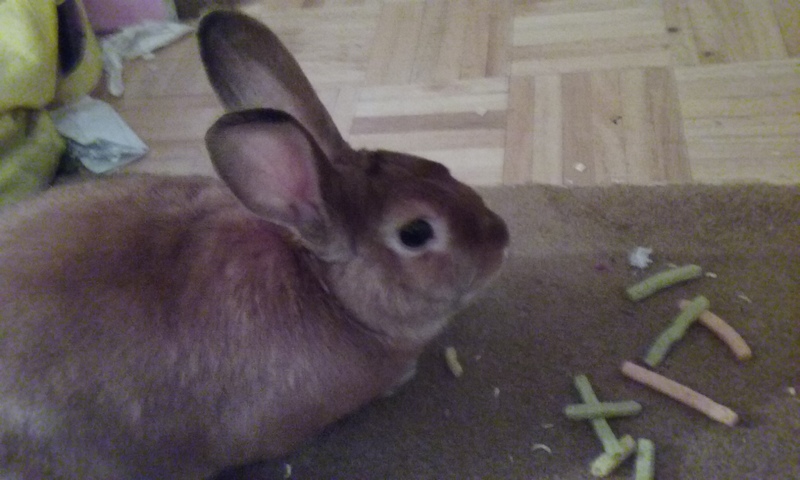 I dropped some Veggie Straws on the floor, out of the bag and he ate them. He loved them. He went all around the room looking for more of them. He found the bag that I had sitting on the floor next to the bed and stuck his cute little nose in it. 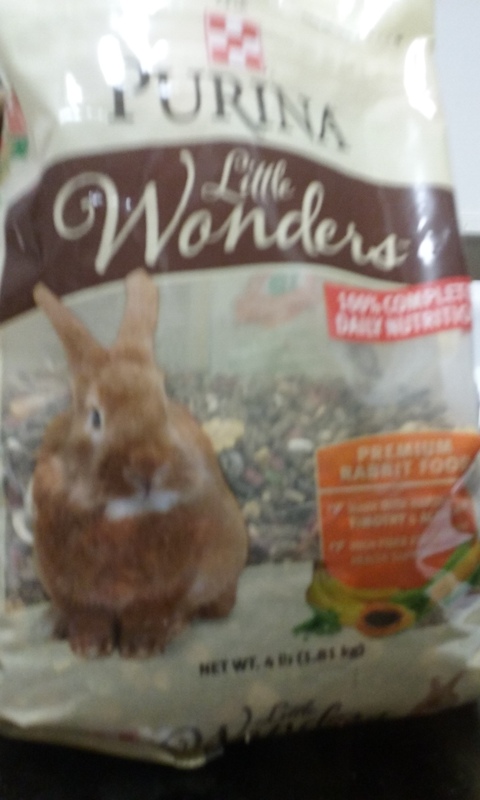 I know he should not have too many of them, but I gave him a few of them and then put the bag up on the counter.